Mauricio “Shogun” Rua knocked out Lyoto Machida to win the UFC light heavyweight title at UFC 113. Rua rained down punches from the mount to earn a knockout win, avenging his loss to Machida at UFC 104. Josh Koscheck beat Paul Daley by unanimous decision to earn a welterweight title shot against Georges St. Pierre. Koscheck also earned the right to coach the 12th season of The Ultimate Fighter against GSP. Daley sucker punched Koscheck after the bout and was subsequently fired. 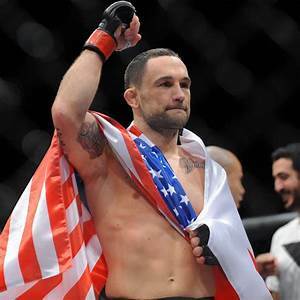 Frankie Edgar captured the UFC lightweight title from B.J. Penn at UFC 112 in Abu Dhabi. Edgar, a New Jersey native, kept cool despite his underdog status and methodically outpointed the Hawaiian champion. In the main event, Anderson Silva continued his dominant run as UFC middleweight champion. “The Spider” beat Demian Maia by unanimous decision to retain the title. Fans in the U.S. could watch the pay-per-view live at 1 p.m. Eastern or check out the replay in the usual 10 p.m. time lot. Georges St. Pierre routed Dan “The Outlaw” Hardy in the main event of UFC 111 to retain the welterweight title. GSP established his dominance before a sellout crowd of 17,000 with an unstoppable ground attack. The judges ruled in the champ's favor by scores of 50-45, 50-44 and 50-43. Shane Carwin knocked out Frank Mir at 3:48 to win the interim heavyweight title. Carwin also earned a shot at heavyweight champion Brock Lesnar. 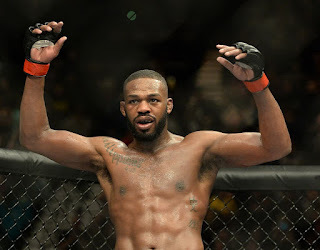 Jon “Bones” Jones returned to the win column, beating Brandon “The Truth” Vera in the main event of UFC’s first show on the Versus network. Jones blasted Vera with an elbow to the face and followed up with punches to win by TKO at the 3:19 mark. Jones bounced back from a disqualification loss to Matt Hamill three months earlier. Future UFC heavyweight champion Junior dos Santos knocked out Gabriel Gonzaga at the 3:53 mark. UFC drew 1.24 million viewers in its debut on Versus, which used to be the Outdoor Life Network and is now NBC Sports Network. 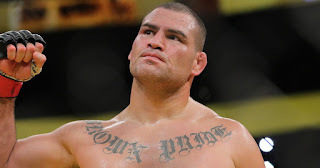 Cain Velasquez earned a shot at Brock Lesnar’s UFC heavyweight title at UFC 110. Velasquez knocked out Antonio Rodrigo Noguiera at 2:20 to improve his record to 8-0. 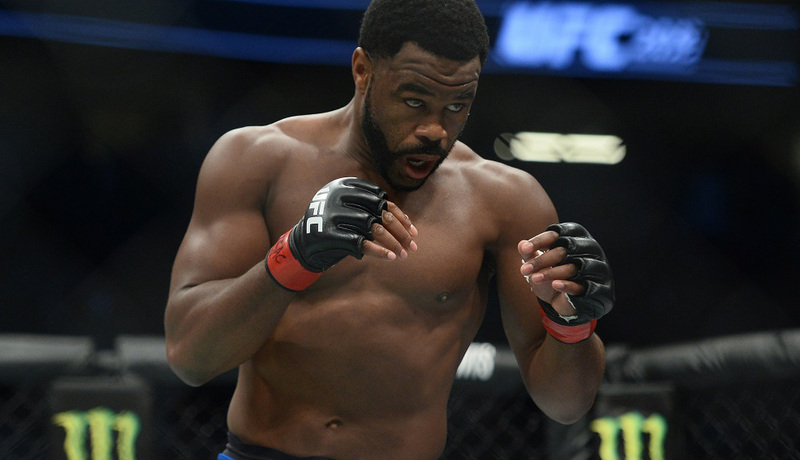 Cain landed a three-punch combo before walloping Big Nog on the mat for the victory. After losing five of his previous six fights, Wanderlei Silva won a unanimous decision over Michael Bisping. “The Axe Murderer” scored with a pair of big punches in the closing moments. Randy Couture waited 12 years to fight Mark Coleman in the Octagon, and Couture came out on top at UFC 109. The two Hall of Famers were originally set to fight at UFC 17 in 1998, but the fight was scrapped due to an injury. A dozen years later, Couture won by technical submission in Round 2 with a rear-naked choke. Paulo Thiago scored a technical submission over Mike Swick with a D’Arce choke in Round 2. Gray “The Bully” Maynard kept his undefeated streak alive with a split decision over Nate Diaz at UFC Fight Night 20. Maynard (9-0 with a no-contest) won 29-28 and 30-27, with the third judge scoring the fight 29-28 for Diaz. Maynard gained revenge for Diaz eliminating him from The Ultimate Fighter Season 5. In another lightweight contest, Evan Dunham beat TUF 8 winner Efrain Escudero by submission to an armbar with one minute left in the fight. Rashad “Suga” Evans took advantage of his opponent’s showboating to finish the first UFC pay-per-view of a new decade. Evans battled Thiago Silva in the main event of UFC 108 and controlled most of the action. Silva made a comeback in the third round, but then he started playing to the crowd. This allowed Evans to regain control and win a unanimous decision. In the co-main event, Paul Daley picked up his second knockout win in the Octagon, stopping Dustin Hazelett in 2:24. BJ Penn outlasted Diego Sanchez to make history as UFC lightweight champion at UFC 107. Penn became the first lightweight champion to defend the title three times. He busted open Sanchez’s forehead with a kick, and the doctor stopped the fight in the middle of Round 5. In the co-main event, Frank Mir won a heavyweight clash with Cheick Kongo. Mir used a guillotine choke to score a technical submission in 72 seconds. John Fitch won his 19th of his last 20 fights, scoring a unanimous decision over Mike Pierce. 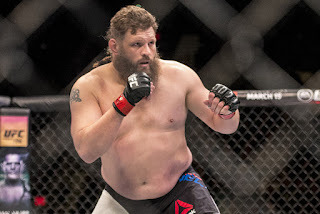 Roy Nelson proudly called himself fat before laying a “Big Country” beating on Brendan Schaub to win the 10th season of The Ultimate Fighter. Nelson dropped Schaub with a right hand before finishing him off with another punch. Nelson had entered the ring to “Fat” by Weird Al Yankovic. Rampage Jackson and Rashad “Suga” Evans were the coaches for TUF 10, which featured all heavyweights. Jon Jones took the first loss of his career when he was disqualified against Matt Hamill at 4:14 mark. Jones lost a point after landing an illegal downward elbow. When Hamill couldn’t continue, Jones got DQ'd. Kimbo Slice won his Octagon debut by unanimous decision over Houston Alexander. Slice had competed in the TUF 10 tournament, but he lost to Nelson in the first round. Frankie Edgar forced Matt Veach to submit to a rear-naked choke. In a battle of NFL veterans, Matt Mitrione knocked out Marcus Jones with 10 seconds left in Round 2. On the pre-show, James McSweeney defeated Darrill Schoonover by TKO in Round 3. Jon Madsen won a split decision over Justin Wren. John “Doomsday” Howard knocked out Dennis Hallman with five seconds left in the fight. 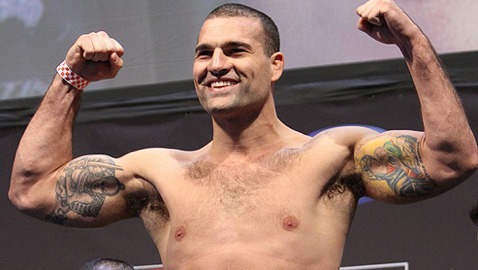 Brian Stann scored a unanimous decision over Rodney Wallace. Marc Bocek forced Joe Brammer to submit to a rear-naked choke at the 3:36 mark. 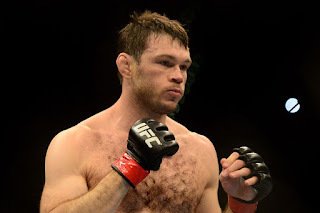 Forrest Griffin avenged his loss to Tito Ortiz at UFC 106 in a battle of former light heavyweight champions. Griffin gained strength in the third round to gain a split decision over “The Huntington Beach Bad Boy.” Ortiz won a split decision in their first meeting at UFC 59. 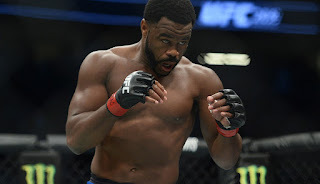 In the co-main event, Josh Koscheck forced Anthony “Rumble” Johnson to submit to a rear naked choke late in the second round. “Little Nog” Antonio Rogerio Nogueira made a successful Octagon debut, beating fellow Brazilian Luiz Cane by TKO in 1 minute, 56 seconds. 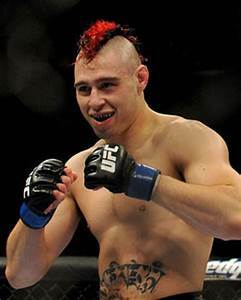 Dan Hardy earned a shot at UFC welterweight champion Georges St.-Pierre at UFC 105. With his English fans backing him, Hardy won a unanimous decision of Mike Swick. Hardy got his title shot at UFC 111. 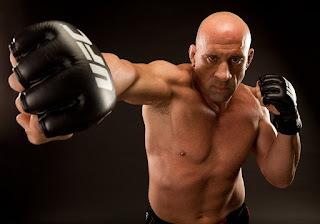 Randy Couture won the main event of the tape-delayed Spike TV show with a unanimous decision over Brandon “The Truth” Vera. The fans were not thrilled with the action, which often saw Couture keeping Vera up against the cage. Hometown hero Michael Bisping used punches and knee strikes to defeat Canada’s Denis Kang by TKO in the second round. “The Immortal” Matt Brown won his third straight fight, beating TUF 9 welterweight winner James Wilks on a TKO in Round 3. Lyoto Machida retained his UFC light heavyweight title against Mauricio “Shogun” Rua at UFC 104, but both men got the winner’s share of the money. Although Machida won a unanimous decision with 48-47 scores from all three judges, UFC boss Dana White was apparently unhappy with the verdict. 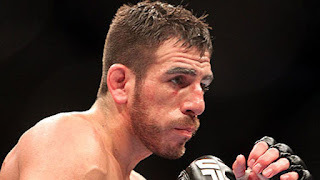 According to Bloody Elbow, White cut Rua a check for $250,000 after the fight, so he could also be paid like a winner. 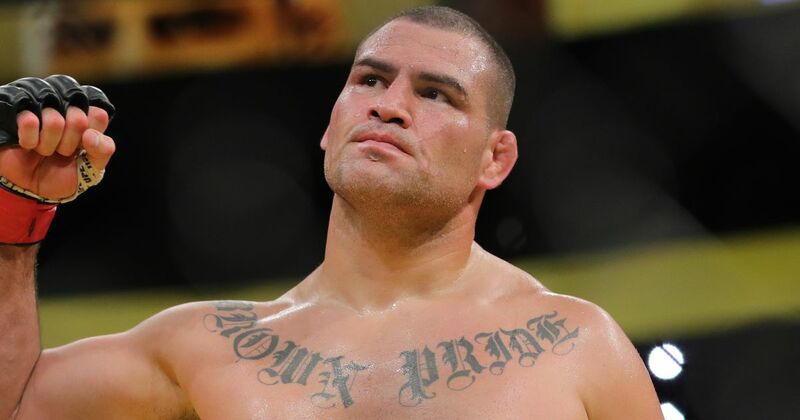 Cain Velasquez continued his climb up the heavyweight ladder with a TKO win over Ben Rothwell in Round 2. Joe “Daddy” Stephenson forced Spencer “The King” Fisher to tap out to strikes in a lightweight bout. 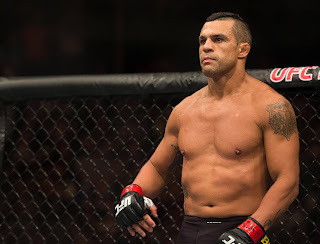 Vitor Belfort continued his timeless career by knocking out Rich Franklin at UFC 103. Belfort, who made his Octagon debut at UFC 12 in 1997, hit Franklin with a big left to the jaw in just over three minutes. He made a triumphant return to UFC after a four-year absence. “Once you get clipped, everything kinda goes blank,” Franklin said. Mirko Cro Cop battled Junior Dos Santos in the co-main event. Junior prevailed in the third round due to Cro Cop’s eye injury. 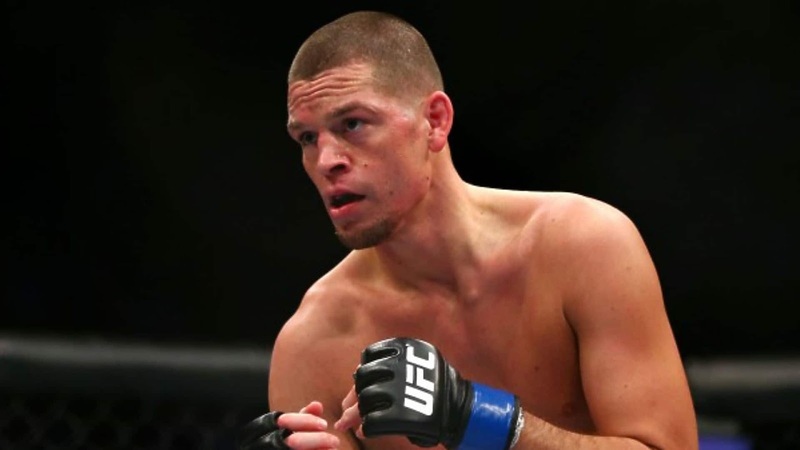 Nate Diaz broke a two-fight losing streak by choking out Melvin Guillard at UFC Fight Night 19. Diaz, coming off losses to Clay Guida and Joe Stevenson, used a guillotine choke to beat “The Young Assassin” in Round 2. Spike TV aired this show as the lead in to the 10th season of The Ultimate Fighter, which featured heavyweights. 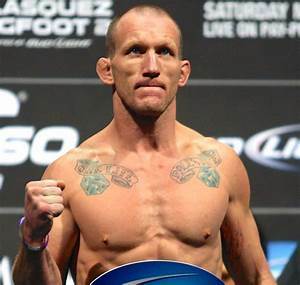 Gray Maynard remained unbeaten with a split decision over “El Matador” Roger Huerta. Four months later, Maynard and Nate Diaz met in the main event of UFC Fight Night 20.